This is King Moses George, who ruled the Christian kingdom of Makuria, in what is now Sudan, from 1155 to 1190 A.D. By then his kingdom had long been cut off from the wider Christendom around the Mediterranean Sea. By “Ethiopia,” the Bible usually means Africa south of Egypt. 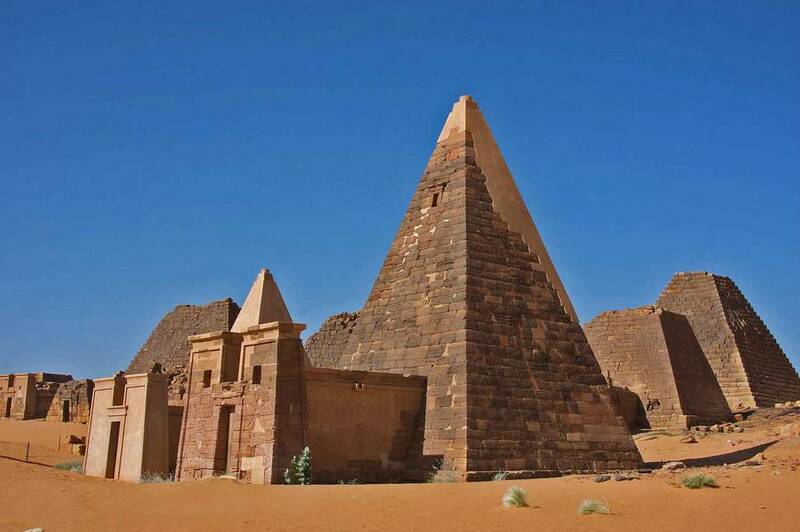 We now know that “Candace” was not the name of a particular queen, but rather the title of the ruling queens at Merowe, then the capital of a native Nubian civilization. The ruins of Merowe show these Nubians as the inheritors of the ancient Egyptian civilization. But they were soon to inherit something new–perhaps through the very man who met St. Phillip on the road to Jerusalem. By 350 A.D. Merowe collapsed, after a long war with Axum in Ethiopia. In its place rose Christian kingdoms in Sudan, whose kings exchanged embassies with the Byzantine Empire, whose church fathers interacted with those in Asia and Europe. Islam conquered Egypt in the seventh century and then struck south. The Nubian kingdom of Makuria defeated the jihad in two major battles, then entered into a treaty which brought 600 years of peace. Three Christian kingdoms in Sudan, throughout the Middle Ages: Nabatia, Makuria, and Alodia a little farther south. The last of them, Alodia, finally fell in 1504. And over the years, cut off from the rest of the Christian family, the Nubians gradually converted to Islam. Christianity survived in what we now know as Ethiopia. One wonders: could Egypt have been retaken, if Byzantium and Nubia had worked together? Without those Christian kingdoms in Nubia blocking Islamic expansion for almost 700 years, what would Africa be like today? King Moses George’s country, and the other kingdoms, were members of our Christian family, lost to us before we knew them–but nothing that belongs to Jesus Christ is ever lost to Him. Our whole family will be reunited in His Kingdom: in heaven first, and then on earth.